How to book shivshahi bus ticket online step by step procedure. 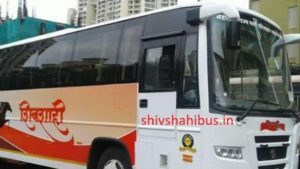 Shivshahi bus becoming more popular because of its comfortable bus traveling experience. Shivshahi bus provides all necessary services which all passengers expect from a travel bus such as comfortable seats, clean bus, air conditioned,high speed internet and most important safety. All these services mostly provided by private travel companies but shivshahi bus is a new brand name of Maharashtra State Road Transport Corporation also known as MSRTC. Shivshahi bus provides all these services like private bus companies provide. Previously MSRTC launched shivneri bus also but shivneri bus is a bit expensive than shivshahi bus because of its luxury travel services as passengers point of view (according to a survey). 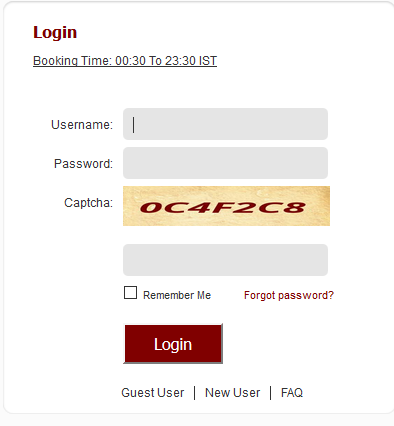 here are the step by step online booking procedure. Remeber your username and password to book msrtc ticket next time as well, The same username have to use for next time ticket booking purpose. Maharashtra State Road Transport Corporation is one of respected and reputed public transport which provides 24*7 services to passengers. MSRTC known for its timely services since it’s establishment. All over maharashtra state from villages to metro cities like mumbai and pune. maharashtra has 36 district , all these district has MSRTC regional office which is responsible to maintain public transport across the districts. MSRTC is very famous among school & college students for its low cost and safe service. MSRTC provides passes at economical price. Advance booking provides great advantage in festival seasons like Diwali, summer vacation etc. Due to huge number of public want to travel from MSRTC buses so there will be additional temporary buses for festival season to handle public transport. Bus ticket cancellation and refund of bus ticket became more relax and safe because of online reservation. On MSRTC website individual have to register himself with bank account number to get benefit of refund.